To make a Spell successful, it is necessary that the person who is casting the Spell should have some experience in Spellcasting. 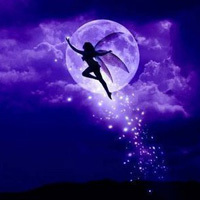 Regardless if you are casting the Spell yourself or requesting it be cast on your behalf, a lack of training and experience can not only prevent your Spell from working, but in some cases, can even cause the opposite effect. There is a common misconception among new Spellcasters that even without any knowledge and practice on occult and Spellcasting, they will be able to perform the Spells successfully, but this is a wrong assumption. Spellcasting is a skill, developed through years of training and practice, failures and successes. Always make sure your Spellcaster is experienced, and isn't using YOUR Spell to practice! You need to understand that if you want to cast a Spell then you have to make sure that you are using the correct Spell. Do not expect a Spell to do everything. If you choose a wrong Spell (or ask too many things of the right one) it will not work no matter what you do. 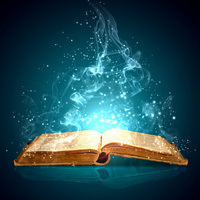 When it comes to Spellcasting, you should know that while you may find some Spells to work extremely well, others may find a different Spell works better for their needs. Sometimes is takes a combination of Spells to get the desired result. There is no hard and fast rule that if a person finds a Spell to be perfect for their situation, others will also find it to be the same. This is why several different Spells are available that appear to do the same thing - if you read the descriptions carefully, you will spot the differences. As with most things in life, stronger is usually better. A stronger Spell has a better chance of overall success, in addition to being more tailored to your needs as the Caster will have more time to adapt the Spell specifically for your requirements. The ingredients and tools that are used for the purpose of casting a Spell are also of utmost importance. Even one ingredient missing or one improper tool that is essential for the purpose of casting the Spell can lead to the failure of your Spell. Your Spellcaster will need to have all the proper Spells, incantations, oils, colored candles, herbs, and much more. A properly stocked altar can easily run in the tens of thousands of dollars in exotic materials. The success of the Spell will also depend on the energy that the practitioner has raised. If it is not sufficient then the chances of the success of your Spell will be less. Thus, it is important for you to make sure that you select a Spellcaster that is able to create enough energy at the time of performing your Spells. This takes time and preparation - be wary of "Spellcasters" who say they can perform your Spell "immediately". I am not saying that they are not good, but I cannot help but wonder if a Spell cast without preparation has a chance at success. There are many people who wonder how long it will take for a Spell to work after it has been performed. The answer is that this is for the universe to decide. The Spells can take a few days or they may take a few months. This will depend on the will of the universe. Sometimes, the universe may not make your wish come true even though you have performed the Spell rightly. Now that you know and understand what can make a Spell fail, you know what to do and what to avoid with your next Spell Request! That's right my friends, I purchased lots of spell and nothing chain for me even a little. Perhaps or maybe the spell caster or the ingridients was wrong. The question is? how can i find the right spell caster? 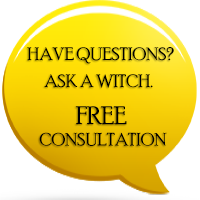 This seem to very interesting because for years I've spending Lots and lots of money a lot spells and It doesn't seem to be working for me. I know after all that money and time should have give up by now but I still believe in them for some reason. Many positive thoughts for my upcoming spells to work. There are times when doubt comes into my little psyche, I push that away with as many positive thoughts as possible. Thank you!! Is this why the spells I purchase from you numerous times fail? Through the years not one spell worked for me . Since then I wish for something else now. Do you think if I tell you my wish it will come true ? I really enjoy your newsletters. I particularly just enjoyed this article about spells. I'd like to know if you ever use crystals in any of your spell work? I've enjoyed my association with the seven witches and I think you all do an excellent job. Thank you so much. I love your site because you actually explain things to us, who don't have the knowledge of what we want to happen in our lives with the work you all do.I truly believe in the coven and feel very positive about the spell I order. I am excited about the spell I just purchased and very positive knowing it is gonna work!!!!! Thank all of the coven for all this good information because it does help a lot. I read an article very similar to this years ago on another website. I just checked and that article is still there, visible on that website. To me, it looks like you wrote your blog post directly from that site. I come here often, and I would like to read original stuff on your blog rather than articles redone from someone else's original work from 10 years ago.